Let us practice being mindful as we go about our daily life, to recognize and accept what is without resistance, do what we can to make things better, and let fears and resentments float on down the river of time and out of our life. Replace them with appreciation of the innumerable gifts that are offered in the present. Let us find time for this real-life meditation, this authentic form of prayer. That is, education that teaches understanding and open-mindedness, not conformance to fixed belief systems. 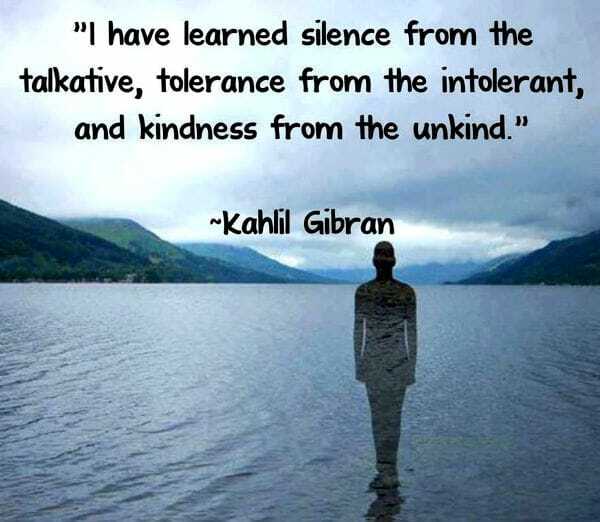 As Tess Calomino said, "Tolerance is the path to understanding." 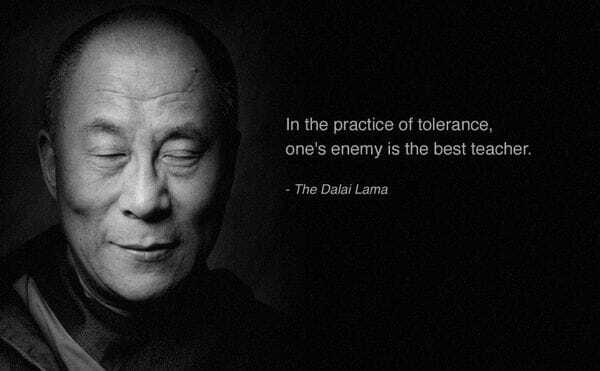 Tolerance of evil (i.e. doing deliberate harm) is misguided - but the fact is most people do the best they can with the best they know and are not evil, and the way forward therefore is tolerant and respectful communication to share understanding. Since we each have our weaknesses, mutual tolerance brings us together, and so we learn to complement and support each other. As Tom Hannah said, "Tolerance and celebration of individual differences is the fire that fuels lasting love."